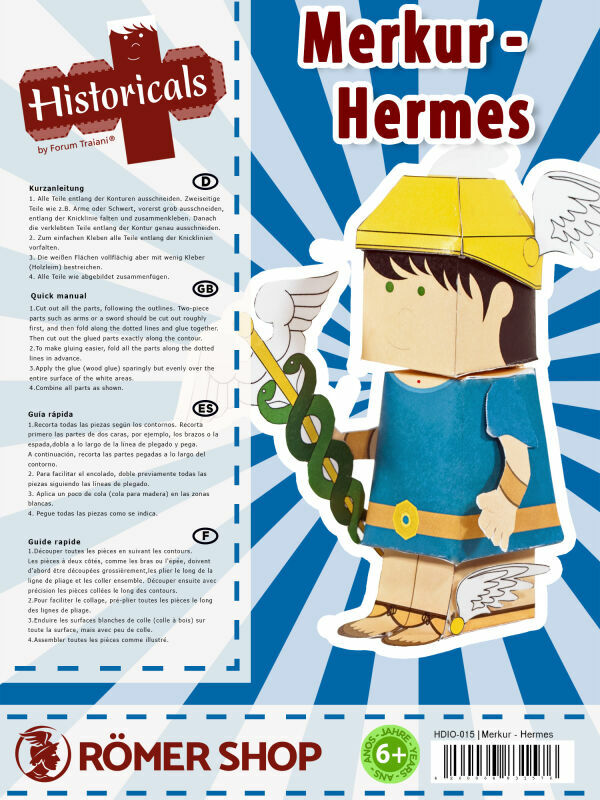 Hermes is the god of merchants and thieves and the Greek messenger of the gods. The crafting template Mercury from the new historical series of Forum Traiani® offers creative crafting and playing opportunities. 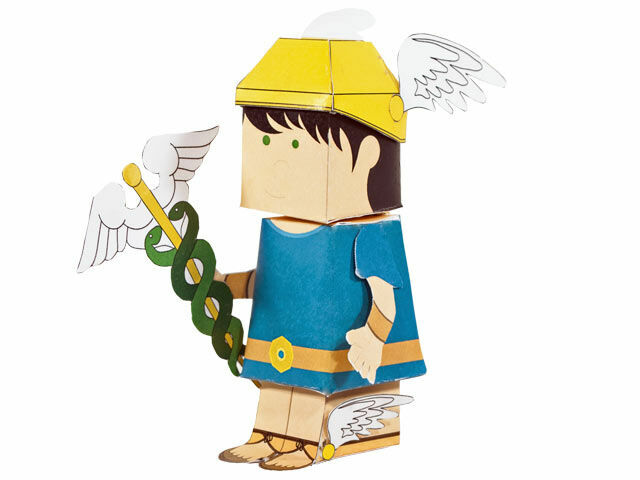 The coloured and three-dimensional crafting template Mercury shows the Roman deity Mercury in detail and suitable for children. 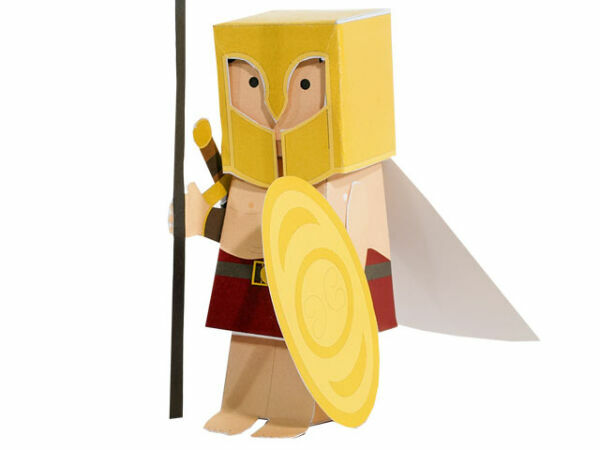 The movable and removable helmet and sword make the homemade Mercury adapted for active games. 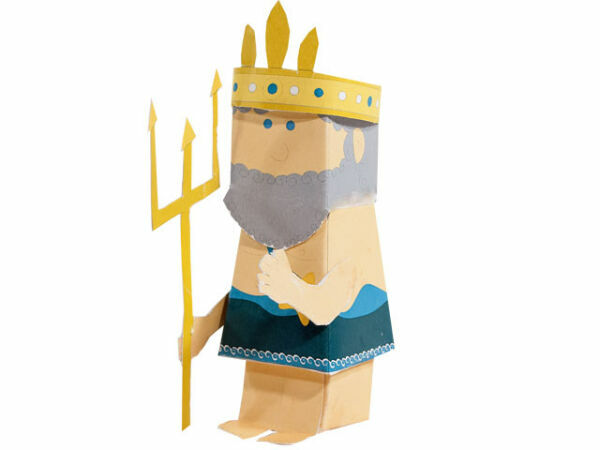 Coloured paper sheets of strong semi gloss cardboard are put together on an easy level as 3D Mercury deity. 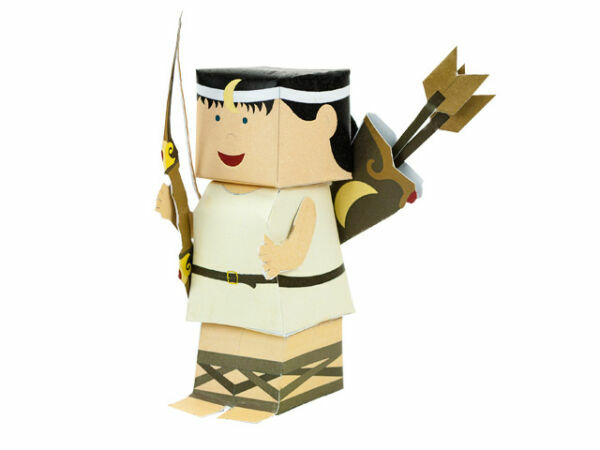 The crafting templates of the new historical Forum Traiani® series are recommended for children over six. They are manufactured in Germany and come with an ecological packaging. Mercurius was considered one of the principal deities of the Roman Empire. He was equivalent to the Greek god Hermes and had the same origins and attributes. The Romans worshiped Mercury as the god of merchants and thieves, as the messenger of the gods. Mercury's name derives from the Latin word “merx” for goods. The ancient illustrations showed Mercury with Caduceus, a winged helmet, winged shoes, and often with a purse in his right hand. Around 500 BC the Romans dedicated a temple Complex near Circus Maximus in honor of Mercury and established a public cult site as city guardian for him. When in the 3rd century BC brazen coins were cast, a portrait of Mercury with winged hat embellished the first coin. Even today, Mercury is present and we find him as a root word in many Romance languages for the 3rd day of the week, Wednesday. 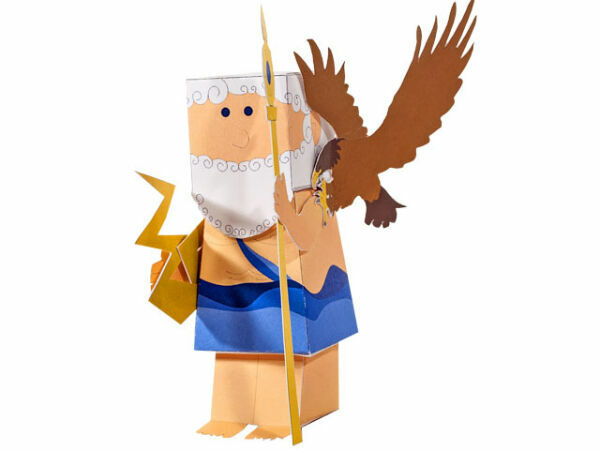 With the three-dimensional crafting template Mercury children and students experience first hand the dealing with historical figures, gods and gladiators. 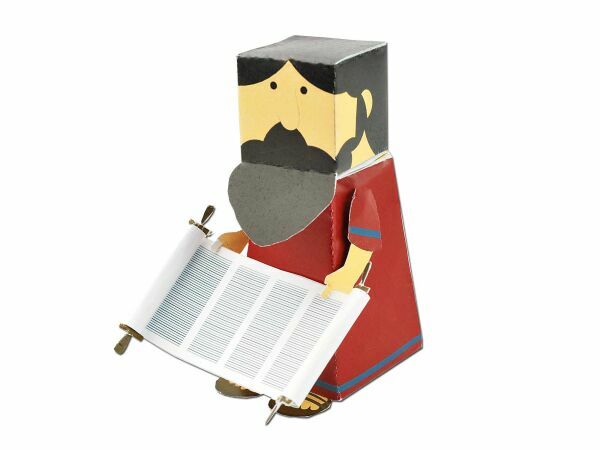 Historical scenes can be actively reenacted with the detachable crafting template Mercury. 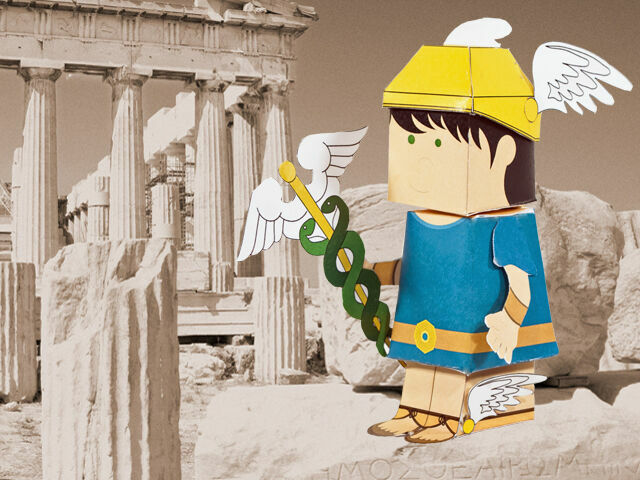 Organise creative and approachable history lessons with imaginative games for your children.